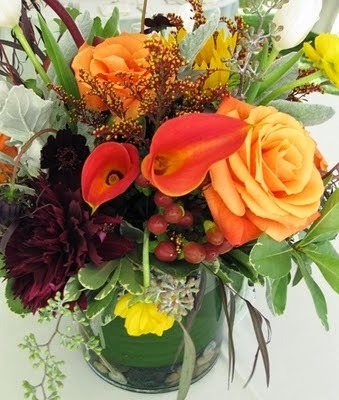 Fall wedding centerpieces are essential to finishing off your wedding reception decorations. With a little thought and creativity, you can come up with a fabulous centerpiece idea. Fall is a great time to get married, especially if you are in a location that you can enjoy the colorful foliage that it brings. It is harvest time, the weather is cooling off and there are many fun options for centerpieces. It is also the perfect season for a wedding theme. Options include apple, wine, leaves and Fall flowers among others. Each of the ideas below can easily be paired with a theme. In general your centerpieces should fit in seamlessly with the rest of your decorations. Things to consider when weighing your options include the décor of the reception space, the size of the tables, the wedding theme you chose, your wedding colors and your budget. You want your centerpieces to be the right size for your wedding reception. Having them too big or too small won't look right. 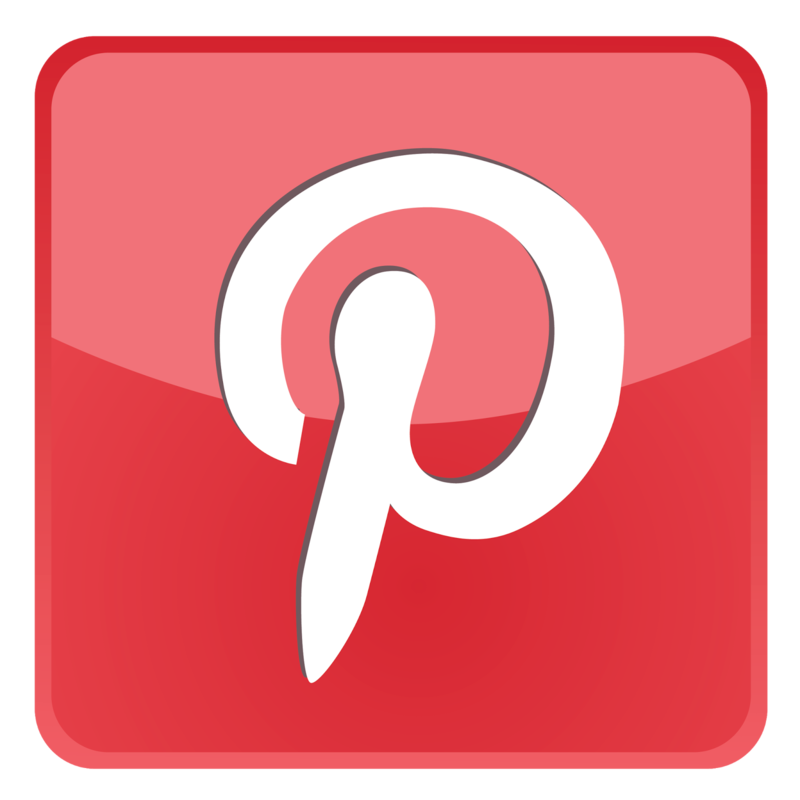 Use your team of wedding vendors to bounce ideas off of. Your florist, wedding planner and reception space are great resources that should be used during your planning. Flowers are usually the most popular choice for centerpieces, and Fall offers a few great choices. Mums are colorful and allow you to tie in your wedding colors with your decorations. Other Fall flower choices include Hydrangea and Sunflower. Use these alone or in combination with other flowers like roses. There are several things you can do with pumpkins. One option is to create a jack-o-lantern for each table. 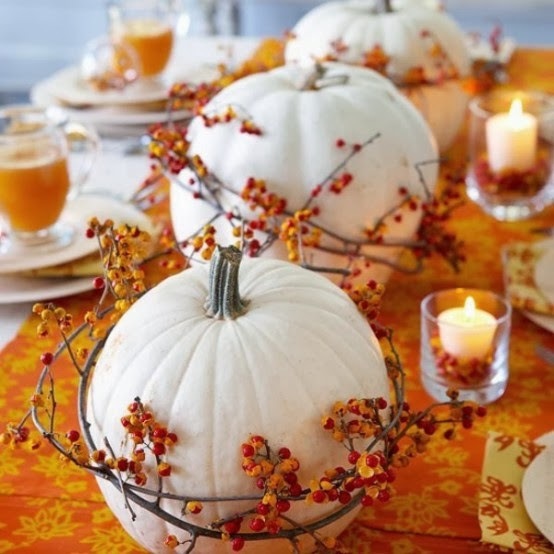 Or, have the table numbers carved into pumpkins, and place them at the center of each table. Pumpkins can also be used along with flowers. 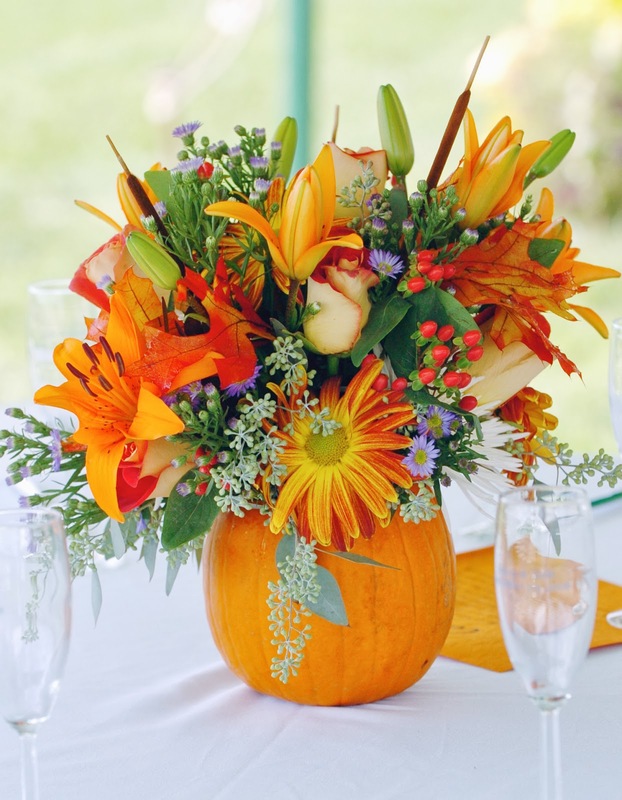 For example, instead of using vases to hold the flowers, use a hollowed out pumpkin instead. Another creative option would be to use a giant wedding glass to hold your flowers instead of a vase. 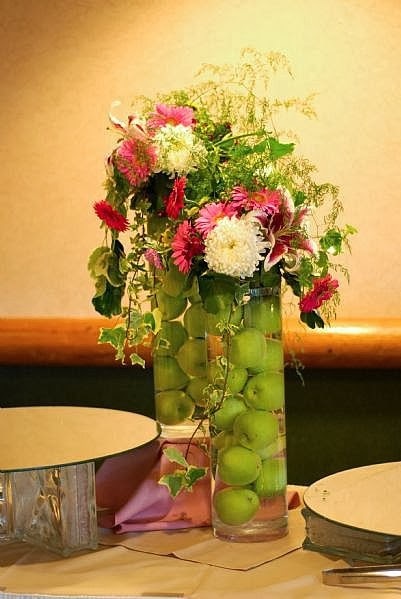 Apples can be used in your floral and other centerpiece displays. Candy apples are a fun way to combine your centerpieces and your wedding favors. 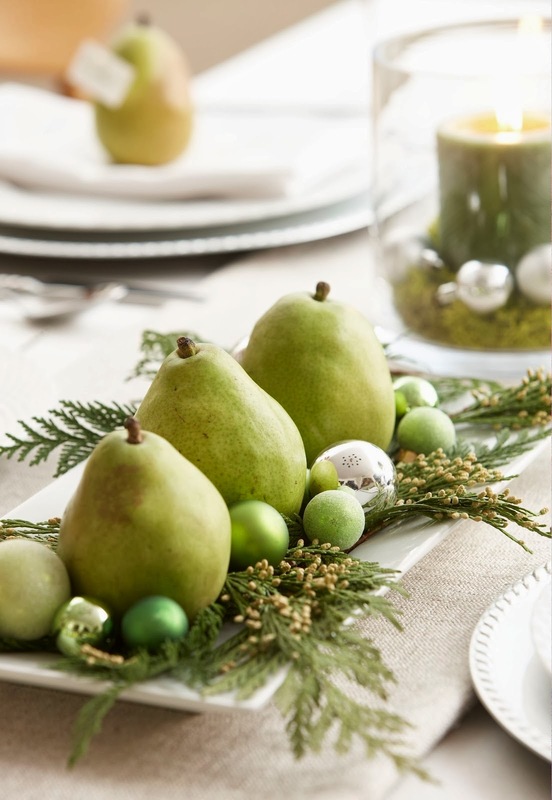 Pears are another Fall item that can be incorporated into your displays. Add them to floral displays, or use large vases to hold them along with other fruit. 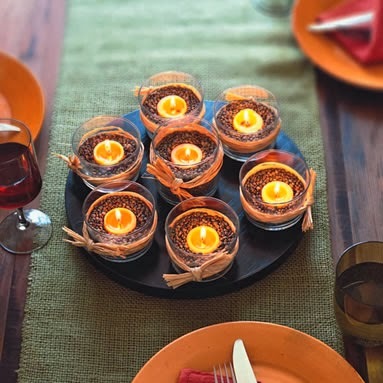 Candles are another common popular choice. Use hurricane vases filled half way with coffee beans surrounding a pillar candle. A Fall wedding wouldn't be complete without leaves. Use color leaves that have fallen off of trees to decorate your tables and centerpieces.